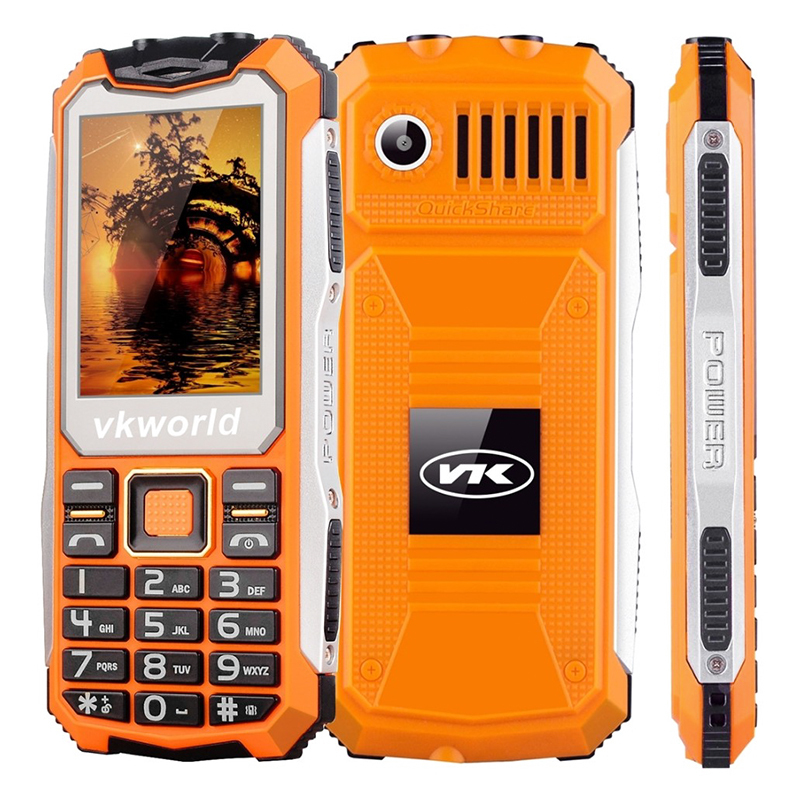 Successfully Added VKWorld Stone V3S Rugged Phone - IP54, 2.4 Inch display, Daul SIM, Quad Band GSM, 2200mAh Battery, Flashlight (Orange) to your Shopping Cart. With an emphasis on protection both from the elements and accidents, the VKWorld Stone V3S brings all the reliable connectivity of a cell phone but with a tough, rugged go anywhere attitude that's ideally suited to the more adventures among us. The Stone V3S Rugged Phone has an old school button keypad and minimalist design so is perfect for making calls, sending messages and staying connected while on the go. This retro cell phone is with its easy to use design is perfect for the elderly or children who aren't concerned with the latest apps and fancy touch screens. Bringing dependable reliance the VKWorld has an IP54 protection rating keeping it safe from daily dust and water exposure. It's tough frame and rugged outer make it a robust device that you can really rely on, the benefits of not having a large and delicate touch-screen means that it not only is the phone much smaller lighter and compact but that it can still respond well at lower temperatures and if the screen is wet you will still be able to make calls and send messages without any issues. The VKWorld Stone V3S comes with a 12 months warranty, brought to you by the leader in electronic gadgets as well as wholesale rugged cell phones..